There are a thousand beauty retouching tutorials out there, but just because someone writes a tutorial, it doesn’t mean that they necessarily teach you something good. I have recently browsed through a list of 40 beauty retouching tutorials in a long article at PSDTuts and I was astonished by the amount of nonsense published there. Now, don’t get me wrong, I love PSDTuts, they have great tutorials, but this particular article was low standard. It’s enough to look to the preview images to see how amateurish the Photoshop effects are. The good tutorials – I could easily count on one hand. Therefore I decided to make a list of the most common misconceptions and amateurish techniques in beauty retouching. And their cure. Maybe this will help reduce the amount of plastic face spread all over the internet (and not only). 1. Do not oversmooth the skin. One of the main tasks of beauty retouching is to clean up the skin, get rid of blemishes, scars, freckles, fine lines and so on. But forget the blur tool, the (even worse!) smudge tool, and all the filters from the Blur category. The clone tool by itself can’t do it either. Using these tools makes skin look very smooth – like plastic, totally unrealistic. All the skin’s texture is lost. 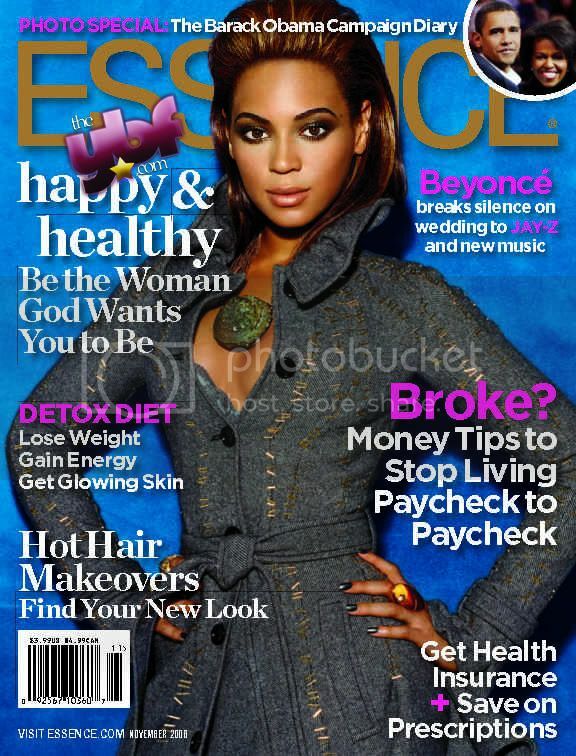 Like Beyonce on the cover of Essence magazine (via Photoshop Disasters). So, what’s the right way to retouch skin and keep it real? The healing brush tool. And practically, the other tools from the same group. First of all, zoom in at least 100%. Make sure to set your cloning source on parts of the skin that look good, and pay attention not to change the shadows and highlights of the skin. If you need to use the clone tool (and you will), make sure to touch up the same area with the healing brush afterwards, to bring back the texture. Yes, it’s a lot of work, but see the difference? 2. Do not remove the shadows under the eyes completely. Do remove the dark circles, but not the shadows under the eye balls, because they give shape and threedimensionality to a person’s features. What happens if you do? The eyes will look like stickers glued to a doll’s face (it will perfectly match the plastic skin from #1). 3. Do not overcover the wrinkles. Unless you’re trying to make someone look 18 y/o, do not cover completely the wrinkles on their face. The older the person is, the more ridiculous the result. So, what’s a retoucher to do? Lower the opacity of your cloning tool. And better yet, clone and heal in a new layer on top of your original image (there’s an option for both the clone and the healing brush tools called Sample current & below, that will allow you undestructive skin repair). When you’re done, change the layer’s opacity to 50% or any percent that give a more realistic look. 4. Do not cover the expression lines. When someone smiles, they will have lines at the corner of the eyes, deeper shadows under the eyes and lines on the sides of the nose. So when covering someone’s wrinkles, dark circles, and other unwanted artifacts, make sure you don’t cover the expression lines as well. Or you’ll end up with an overly Botox injected look. Or with the Joker. Not very pretty, right? What’s to do if the shadows are too deep and need some lighting? Just like with the wrinkles – repair in a separate layer and lower the opacity! 5. Do not cover the corner of the lips. Many (good) photographs get the skin and the other features in (almost) perfe ct lighting, but the eyes stay a little bit shaded. While most retouchers have a mind to make the whites of the eyes brighter, many completely ignore the irises. If you miss the eyes, you’re missing one of the most expressive features. A simple fix is to just copy the irises in a new layer and brighten them up (play with blending modes too). As I mentioned, most retouchers do brighten the eyes’ whites and all the amateurs overdo it. And that’s how we end up with alien-looking faces. While it’s perfectly acceptable (and necessary) to remove redness, veins, yellowness and too deep shadows, when it comes for whitening – keep it moderated! The result will be even more unrealistic if the lighting on the subject was done to keep the eyes shaded. The only worse thing than ignoring the irises is to overdo them. It’s great that you can change someone’s eyes’ color, but before you proceed, ask yourself: how would this person’s eyes look if they did have the new color in reality? Take into account the color of the skin and, most important, the shading. Bright electric blue may be credible in a high-key, bursting with light kind of photo. But when the subject is shaded, the blue is muted. Therefore, color with caution! Yes, they can be too white. And no, nobody’s teeth are that white, not even with the newest technology. That’s because they are planted inside the person’s mouth, therefore, in most cases, shaded (at least partially), and slightly influenced by the colors around them. So, in the case of teeth, don’t head for brightening, but for reducing the yellowness. Select the teeth and pick the yellow channel in the Hue/Saturation dialog box, then raise the luminosity level . Only then you can add a little brightness overall, if necessary. When you get lost in details, it’s easy to forget the bigger image. Before you even start worrying about the color of the eyes and the whiteness of the teeth, you should adjust the exposure and all the issues related with brightness and contrast. Why? Because if you do it after you have adjusted the brightness in the details, you will end up with blown-up highlights or burnt in shadows. Also, fix any white balance errors, weird flesh tones, color casts, etc. What you should leave for after the game of details? More general adjustments (curves, brightness, saturation, etc. ), just to give the image an extra-kick; and the overall sharpening. Why you shouldn’t do the sharpening in the beginning? Because the retouching procedures will inevitably soften some areas, and then you will have to re-sharpen. That’s it! Obey this Decalogue if you don’t want to end up in Photoshop Hell! This entry was posted on Wednesday, October 15th, 2008 at 5:30 pm	and is filed under Graphic Design, Tips. You can follow any responses to this entry through the RSS 2.0 feed. You can leave a response, or trackback from your own site. Please submit all of your future quality tutorials in there. Nice Tutorial, I totally agree that you can’t over do it. Keep up the great work. Thanks a lot. Just starting to mess around with Photoshop myself and this cleaned up a couple of habits I managed to catch. Ardis Creative Web Design Blog » Blog Archive » What Not To Do in Photoshop great article thank you. Thanks. It is very helpful for me. This is great. Whenever I see a glamour magazine nowadays and their photoshopped covers, I can’t help wondering who they think they’re fooling. Good comparisions of Photoshop retouch. Most people just overdo it, you show why you shouldn’t.